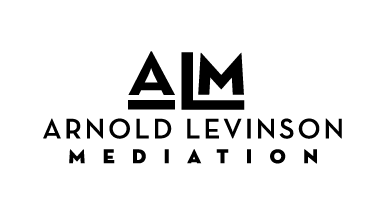 Levinson Mediation provides neutral mediation services. Arnie Levinson combines his deep experience, integrity and tenacity to help clients who may be miles apart come to a fair and intelligent resolution. We collect data in lawful and fair means, and where appropriate, with your consent. We collect personal data that is relevant to the purposes for which they are to be used, and to the extent necessary for those purposes. We specify the purpose for the collection of data at the time of collection. Personal data is not be used for purposes outside of the original intended and specified purpose, except with your consent or the authority of the law. We keep data accurate, complete and kept up-to-date. Personal data is protected by reasonable security safeguards against such risks as loss or unauthorized access, destruction, use, modification or disclosure of data. Levinson Mediation collects several different types of personal data for various purposes. 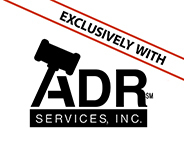 We do not sell, rent or trade email lists or any data with other companies and businesses. The Levinson Mediation website uses a Secure Socket Layer (SSL) to encrypt content submitted through the site. We take further measure to secure your data on our computers, back-up systems and third-party services. Levinson Mediation will retain your personal information only for as long as is necessary for the purposes set out in this Data Protection Policy. Levinson Mediation will retain and use your information to the extent necessary to comply with our legal obligations, resolve disputes, and enforce our policies.